Unsure how to replace your Jaguar key fob battery? Rumson drivers can follow these steps courtesy of Jaguar Monmouth to ensure a smooth key fob battery replacement! It’s important to replace your Jaguar key fob battery when necessary to ensure easy entry to your Jaguar vehicle. You’ll notice that the battery is low and in need of replacement when there is a decrease in effective range of the key fob. The message center may also display SMART KEY BATTERY LOW to let you know that that a Jaguar key fob battery replacement is necessary. Slide the key fob cover to release it, and then pull it to remove. Use the emergency key blade to separate the body of the key fob. Insert a new CR2032 battery with the positive side upwards. These can be find at an authorized Jaguar dealer such as Jaguar Monmouth. Refit the parts, making sure they click securely into place. Handle only the outer edge of a new battery. Touching the top and bottom faces may reduce battery life and corrode the contacts. If the low battery warning does not disappear, it may mean the replacement battery is not in new and unused condition. 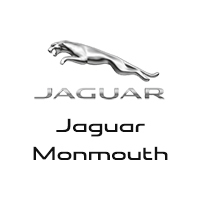 Connect with Jaguar Monmouth to find out whether Jaguar key fob battery replacement is covered under the Jaguar warranty, or for updates on the Jaguar maintenance schedule. Otherwise, our team can set you up with a vehicle from Jaguar Special Vehicle Operations!